Asset Forfeiture: Do Police Seize Innocent People’s Money? 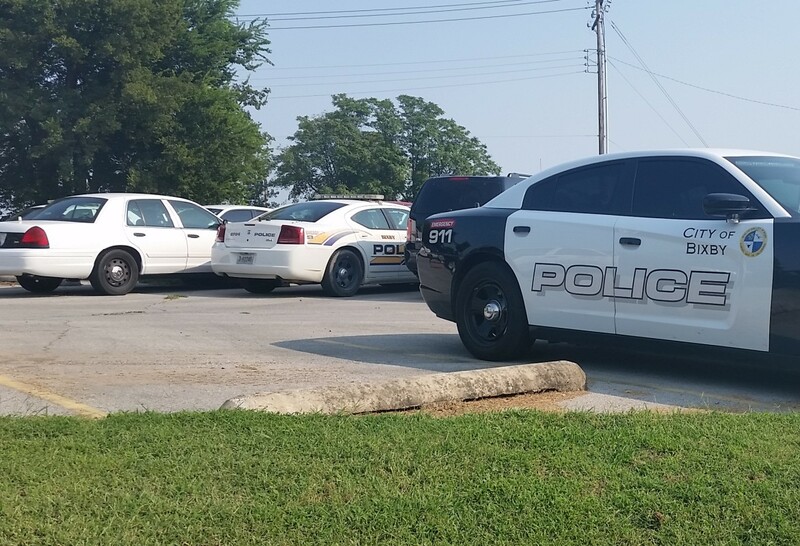 Police in Bixby, which is near Tulsa, suspected a Broken Arrow man was a drug trafficker and seized more than $15,000 in cash from his vehicle. On a March evening in 2013, William Cicco drove away from his Broken Arrow home with a paper bag on the front passenger seat containing $15,555 in cash. He and his wife had been arguing. Cicco left with what he said was money from their savings and a second-mortgage loan. He never imagined the cash would make him a suspect in drug trafficking. Cicco was stopped for erratic driving and arrested for driving under the influence. Officers found the cash and seized it, accusing him of transporting drug profits. No drugs were found, although Cicco said he had taken prescription painkiller medicine for his cancer symptoms. He got his money back, but not before spending at least $3,000 on a lawyer and bond. “Not only was I falsely accused of doing something I wasn’t doing, it cost me a bundle,” says Cicco, 61, who suffers from stage IV lymphoma. The debate over whether more limits should be placed on law enforcement’s seizures of assets from criminal suspects often centers on whether the practice is hurting innocent people. Authorities say their stop-and-seize operations are affecting few, if any, innocent individuals. By “innocent,” they do not mean those who are not convicted – under Oklahoma law, law enforcement officials have the right to gain forfeiture of cash and property from suspects if there is a preponderance of evidence that the assets are tied to criminal activity. No conviction or charge is needed. A review of thousands of civil asset forfeiture cases across the state, however, shows that in most cases involving cash, authorities aren’t seizing large amounts. Oklahoma Watch examined the amounts sought in 8,480 cash forfeiture cases in 70 counties that were identified in searches of the two computerized court-records systems. The cases were filed between 2004 and August 2015 by district attorneys, the Oklahoma Bureau of Narcotics and Dangerous Drugs, the Department of Public Safety and the state Attorney General’s Office. Of those cases, 59 percent sought amounts of under $1,000, and 88 percent sought amounts under $10,000. The median amount was $801. In hundreds of cases the amount was less than $100, but most of those also involved seizure of a vehicle or other property. Canadian County Sheriff Randall Edwards, an outspoken supporter of seizure laws, has said that amounts of $10,000 or more are among the key indicators that cash is likely connected to drug operations. On the other hand, Oklahoma County District Attorney David Prater said seizures of smaller amounts still help law enforcement disrupt drug-dealer operations. Criminal defense attorneys and advocacy groups argue many of these cases involve small-time offenders and innocent citizens, not hard-core drug traffickers. “They aren’t taking drug dealers’ money … It’s gotten so easy for them that they’re taking any money they come across,” said James W. Todd, a former Sand Springs police detective who became an attorney in Oklahoma City and often represents clients in asset forfeiture cases. A bill proposed by state Sen. Kyle Loveless, R-Oklahoma City, would prevent the forfeiture of money and property unless a conviction was secured, a prospect that has law enforcement officials pushing back hard. Criminal defense attorney and former police detective James. 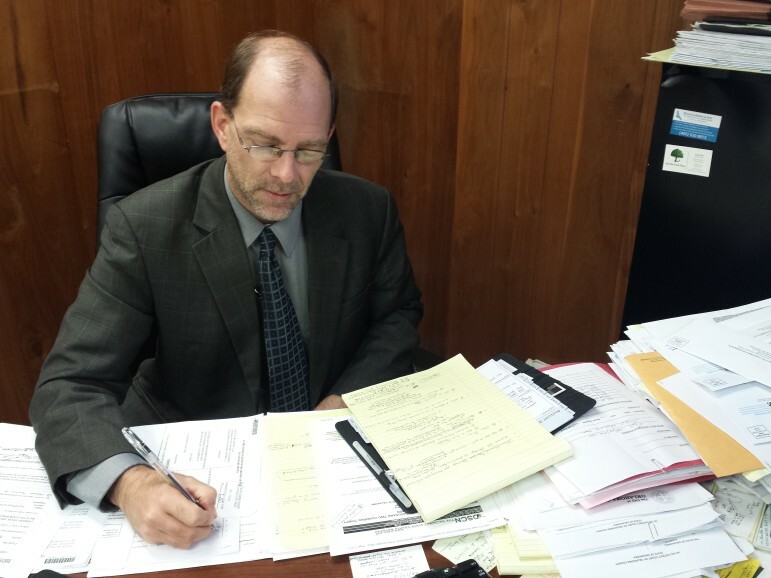 W. Todd represents many clients whose cash or property was confiscated by authorities. Cicco’s case shows that even when seized money is returned to the owner under a settlement or a judge’s order, the owner may still suffer a financial loss. Cicco (pronounced Cheeko) said after he left his home that evening, he was pulled over by a Bixby police officer responding to a radio call about a possible intoxicated driver. A police report says Cicco’s speech was slurred and he appeared to be intoxicated. Cicco said he had taken his prescribed pain medication before leaving the house. While preparing to impound the car, police found empty bottles for two prescription painkillers and a partially-filled bottle of non-narcotic medicine; all were in Cicco’s name and were intended to treat his cancer, he and his lawyer said. Then they found the bag with cash and accused him of being a drug dealer. A drug dog was brought in, and the dog “alerted” to the passenger side door, the police report says. A second drug dog was brought in and alerted to the bag of cash. Police arrested Cicco for driving under the influence of drugs; speeding; improper lane use; failure to yield to an emergency vehicle, meaning the police car; and a complaint of possession of drug proceeds. A judge set his bond at $15,300, including $10,000 for the drug-proceeds complaint. Cicco hired an attorney to both defend him on the traffic charges and fight the forfeiture. Cicco was found guilty of the traffic charges and the DUI. A judge dismissed the drug-proceeds charge. Tulsa County Assistant District Attorney James Dunn, who filed the charges against Cicco, said the majority of forfeiture cases do not involve innocent people having their money taken away. Advocacy groups and some lawmakers argue that the lack of criminal charges and convictions in many forfeiture cases indicates that authorities are wrongly taking money and property. A recent report by the American Civil Liberties Union of Oklahoma found that 319 cases of cash forfeitures were filed under state law in 12 counties along the Interstate 40 corridor from 2009 to 2014. In about 36 percent of those cases, no criminal charges appear to have been filed. Those cases represented 66 percent of the total amount seized. Todd said in many instances, the owners of assets confiscated by police choose not to fight the forfeiture actions filed in court, especially if the amounts are relatively small. It may cost more to pay the court and the attorney than to walk away, he said. “They really feel like they have no recourse, especially the individuals out of state (because) they have to engage in a civil fight, when they are from Illinois or wherever,” Todd said. Prosecutors and law enforcement officials insist their approach works well and is benefitting the public. Dunn called Loveless’ proposal “one of the greatest threats to public safety that I can think of in recent time. Joey Stipek contributed to this story. Law enforcement officials and think-tank experts and lawyers dueled in separate hearings Tuesday over whether stop-and-seize operations should be reined in.